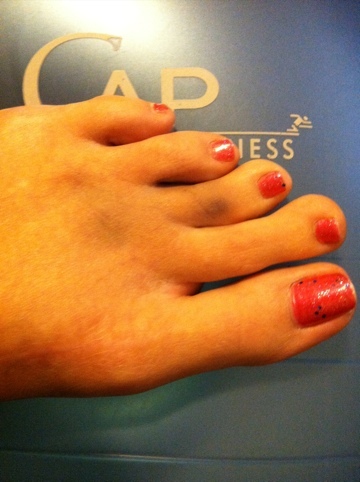 So, woke up this morning with a horrible pain coming from my left toes. The kind of annoyance that makes you hobble around. Ya know, that kind. Anyways, tried going about the day, all the while trying to cover up my gimpiness. Low and behold I’m checking out the toes tonight, since they still hurt, and they’re black and blue! What the heck happened last night? Must’ve gotten in a fight with the covers! This is ridiculous! Have you ever had this happen to you? Please tell me I’m not the only one that can’t hurt themselves while sleeping!